Selected artworks from the Hildebrand Collection are permanently on view at the G2 Kunsthalle. 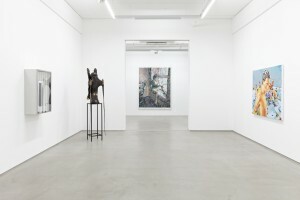 According to the collector`s idea to open his collection to the public, the G2 Kunsthalle presents parts of the Hildebrand Collection in changing installations and special exhibitions. This private collection´s personal character is defined by an individual passion for art collecting that emphasizes its essential difference in comparison to public museal institutions. 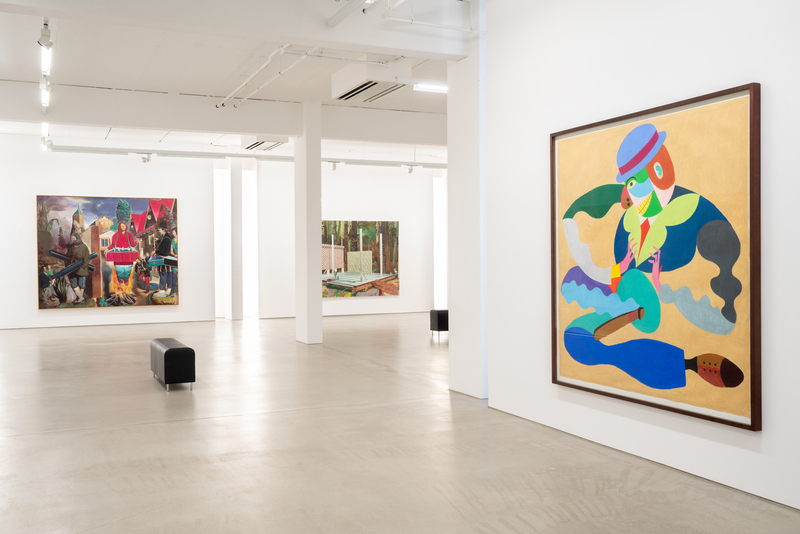 The private collection focuses on contemporary painting of the 21st century including drawings, prints, sculptures and other media objects. The collector and entrepreneur Steffen Hildebrand concentrates his collecting activity on the so-called New Leipzig School. 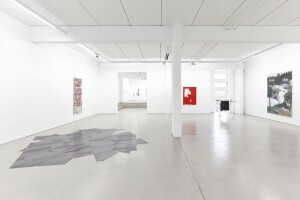 The development of the art production in Leipzig after the turn of the millennium is represented through significant artworks and important group of works by established artists as well as by younger, emerging names. A second substantial nucleus of the collection consists of other national and international artistic movements. Parallel to the special exhibition L I C H T P R O B E by Jörg Ernert, art works by the following artists from the Hildebrand Collection are currently on view at G2 Kunsthalle: Hans Aichinger, Benjamin Bergman, Judith Bernstein, Norbert Bisky, Richard Deacon, Marcel Dzama, Famed, Henriette Grahnert, Paule Hammer, Katrin Heichel, Franziska Holstein, Uwe Kowski, Alicja Kwade, Raymond Pettibon, Jochen Plogsties, Neo Rauch, Daniel Richter, Christoph Ruckhäberle, Tomás Saraceno, Andreas Schmitten, David Schnell, Kristina Schuldt and Matthias Weischer (Download complete list of exhibited art works). 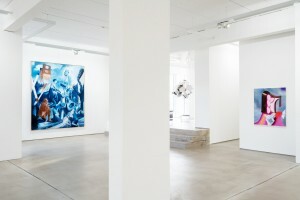 Past presentations of the collection included also works by the following artists: Stephan Balkenhol, Tilo Baumgärtel, John Bock, Andrea Bowers, Christian Brandl, Birgit Brenner, Sebastian Burger, Peter Busch, Björn Dahlem, Birgit Dieker, Benjamin Dittrich, Jens Einhorn, Jörg Ernert, Tom Fabritius, Axel Geis, Sebastian Gögel, Melissa Gordon, Martin Groß, Nicolás Guagnini, Stefan Guggisberg, Grit Hachmeister, Terry Haggerty, Tobias Hild, Gregor Hildebrandt, Julius Hofmann, Rebecca Horn, Anne Imhof, Anna K.E., Thomas Kiesewetter, Martin Kobe, Peter Krauskopf, Sven Kroner, Edgar Leciejewski, Tobias Lehner, Rosa Loy, Malte Masemann, Jonathan Meese & Herbert Volkmann, Andreas Mühe, Bastian Muhr, Jeanette Mundt, Sebastian Nebe, Marcel Odenbach, Juliana Ortiz, Ulf Puder, Tal R, Oskar Rink, Johannes Rochhausen, Thomas Ruff, Julia Schmidt, Rigo Schmidt, Thomas Schütte, Robert Seidel, Daniel Steegmann Mangrané, Rirkrit Tiravanija, Christian Tomaszewski (C.T. Jasper), Koen van den Broek, Miriam Vlaming, Mirjam Völker, Ruprecht von Kaufmann, Hendrik Voerkel, Stefan Vogel and Amelie von Wulffen. To visit our present exhibition please check our opening hours or make a reservation for one of our guided tours online.